Nicotine causes high blood pressure - it's a fact. Nicotine Causes High Blood Pressure. Hypertension is high blood pressure. 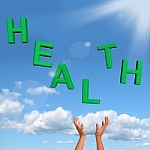 The known causes are; high cholesterol, obesity, chronic stress and cigarette smoking. 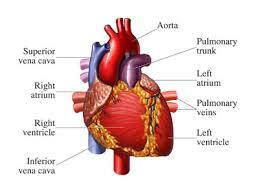 High blood pressure increases the workload on the heart and the left ventricle gradually enlarges. When this happens the increase in size of the heart muscle means the heart requires more oxygen. When the extra oxygen required by the heart is not delivered the heart muscle suffers from starvation and over time this can lead to infarction. Myocardial Infarction (MI) is the medical term for a heart attack. Myocardial = heart, Infarction=dead tissue. (rough translation). With hypertension comes increased stress on the walls of the blood vessels throughout the body which increases the risk of aneurysms, heart attack and strokes. Quite often the vessels most affected are those supplying the retinas of the eye the result of which is disturbed vision. Treatment must first and foremost include lifestyle changes - quit smoking if you smoke, lose weight if you are obese and try to remove stress factors from your life if you are stressed. Regular exercise and restricting salt, fats and calories will improve circulation. If you have been diagnosed with high blood pressure, antihypertensive drugs will probably be prescribed such as; calcium channel blockers, beta blockers, diuretics and vasodilators. Beta blockers reduce the resting heart rate and blood pressure. Diuretics promote the loss of water and salt at the kidneys which lowers the volume of the blood. Vasodilators dilate the blood vessels reducing blood pressure. 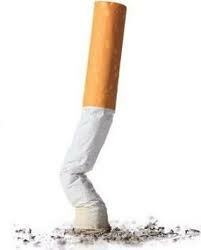 Cigarette smoking brings with it all the chemicals inhaled every time you drag on a smoke. Nicotine is not a carcinogen which means it alone does not cause cancer so many people believe that if they continue to use nicotine but quit smoking then they will not be harming their health. The thing with nicotine though is that it is a vasoconstrictor which means it causes the blood vessels to constrict and this makes it harder for the heart to pump blood around the body. The extra work that the heart has to do causes blood pressure to rise. So if you decide to quit smoking by using nicotine replacement you must realise that you can only keep using nicotine for a short time - eventually you must stop using nicotine altogether. Return from "High Blood Pressure" to "How to Quit Smoking"